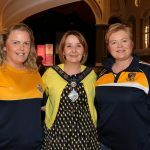 Chairperson Newry, Mourne and Down District Council, Councillor Roisin Mulgrew invited Clare Caulfield founder of Bravehearts NI supporting teens and young adults with congenital heart disease to speak at the Organ Donation Information Awareness Event and afterwards presented Clare with an inscribed crystal bowl to acknowledge her fantastic achievements and the help and support she gives freely to others. 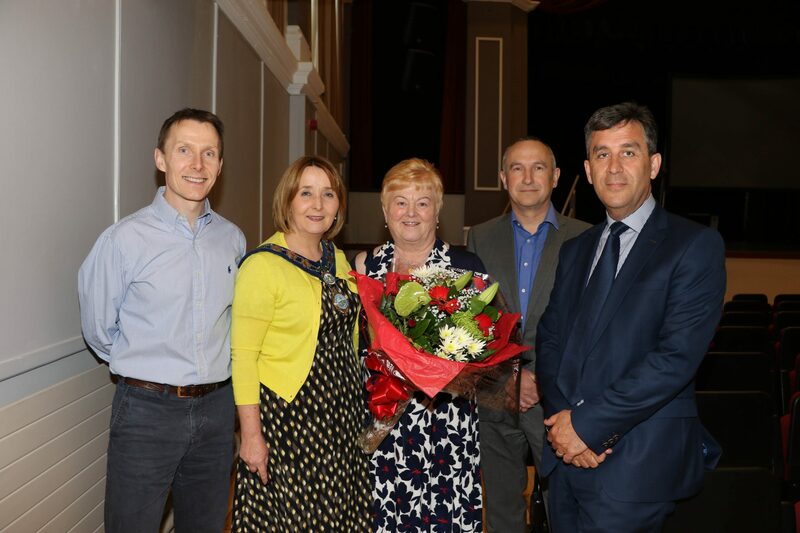 Newry, Mourne and Down District Council, together with the Southern Health and Social Care Trust hosted a successful information evening in Newry Town Hall on Friday 18 May 2018 to highlight organ donation and its benefits. 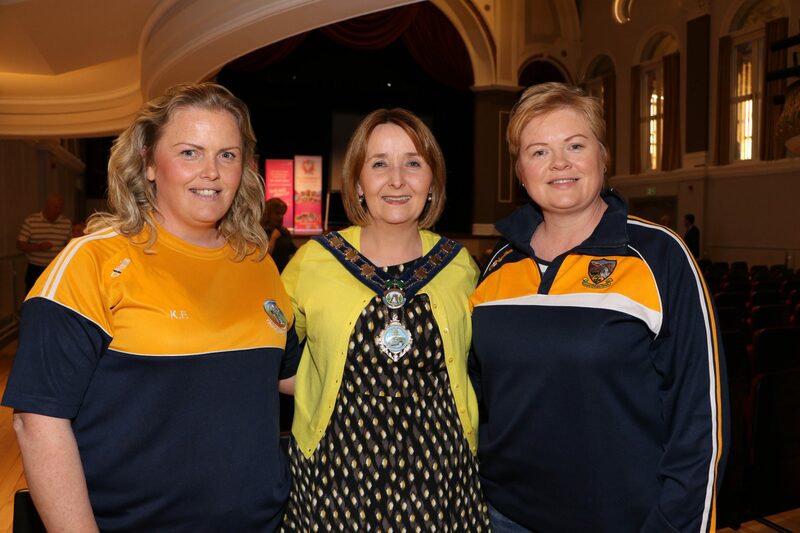 Kitty Fegan and Guinevra McGilligan Clonduff Camogie with Chairperson Newry, Mourne and Down District Council, Councillor Roisin Mulgrew at the Organ Donation Information and Awareness Event trying to encourage everyone to have a discussion with your family if you want to be a donor. 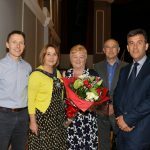 Dr. Neal Morgan Consultant Nephrologist, Chairperson Newry, Mourne and Down District Council, Councillor Roisin Mulgrew presents Siobhan Rooney non-executive Director and Chairperson Organ Donation Committee SH&SCT with a bouquet of flowers to thank her for her help in organising the Organ Donation Information Awareness Event, Dr. Chris Clarke Consultant Anaesthetics and Intensive Care Medicine, Clinical Lead Organ Donation SH&SC and Ronan Carroll Assistant Director Acute Care. 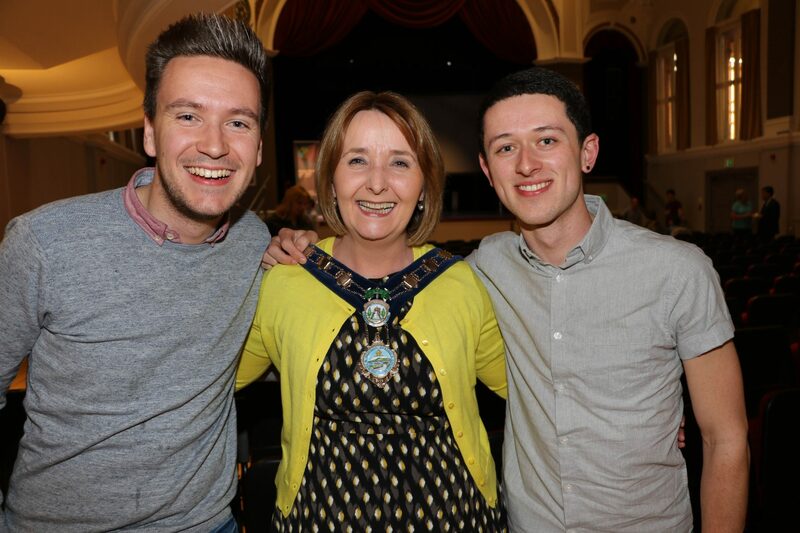 Neal Rush and Mark McLoughlin chat to Chairperson Newry, Mourne and Down District Council, Councillor Roisin Mulgrew at the Organ Donation Information Awareness Event. 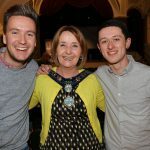 Cllr Mulgrew continued, “Over 200 people in the North of Ireland are currently waiting for an organ donation, while last year 15 people died while on the waiting list. These are shocking statistics which can so easily be addressed”. Mr Shane Devlin, Chief Executive Southern Health and Social Services Trust gave the opening address and following this informative presentations were made by Dr Chris Clarke, Consultant Anasthetics and Intensive Care Medicine, Clinical Lead Organ Donation Southern Health and Social Care Trust and Dr Neal Morgan, Consultant Nephrologist, Southern Health and Social Care Trust. 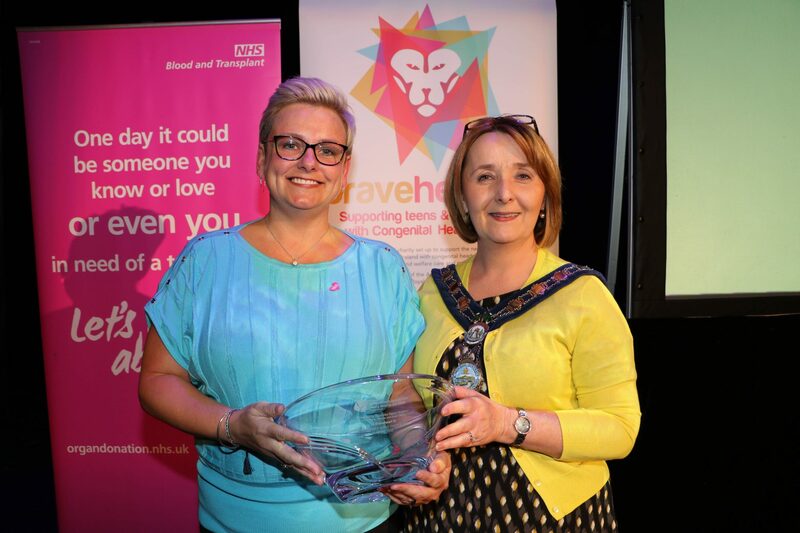 The family of a lady who had donated her organs gave an emotive account of their experience and a donor recipient gave his view on receiving a kidney transplant and how it had changed his life for the better. Clare Caulfield, founder member of the Charity Braveheart spoke about her daughter born at 28 weeks with congenital heart disease and the impact this had, and continues to have, on family life and how the charity supports families in similar circumstances who are in need of an organ transplant. For further information on organ donation and how to donate click here.